TORONTO, Dec. 13, 2017 /PRNewswire/ -- Half of all individuals in Canada born with cystic fibrosis will not live past around 50 years of age. Emily Lyons – successful serial entrepreneur and CEO of multiple Toronto-based companies – experienced firsthand the reality of this sobering statistic. In 2011, Emily Lyons' sister Julia passed away due to cystic fibrosis complications. Emily and her family were heartbroken; but Emily transformed this anguish into an unyielding drive to create high-impact businesses – like her event staffing and experiential marketing agency, Femme Fatale Media Group – that would make her sister proud. Throughout her years as an entrepreneur, Emily Lyons has devotedly helped those affected by cystic fibrosis. 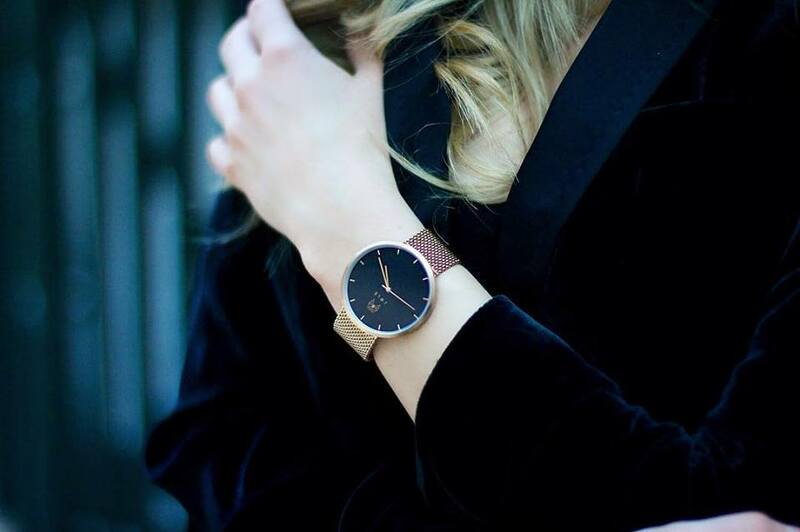 Earlier this fall, in fact, she launched a watch brand named JWLS which donates a portion of all profits to organizations involved in the fight against cystic fibrosis. 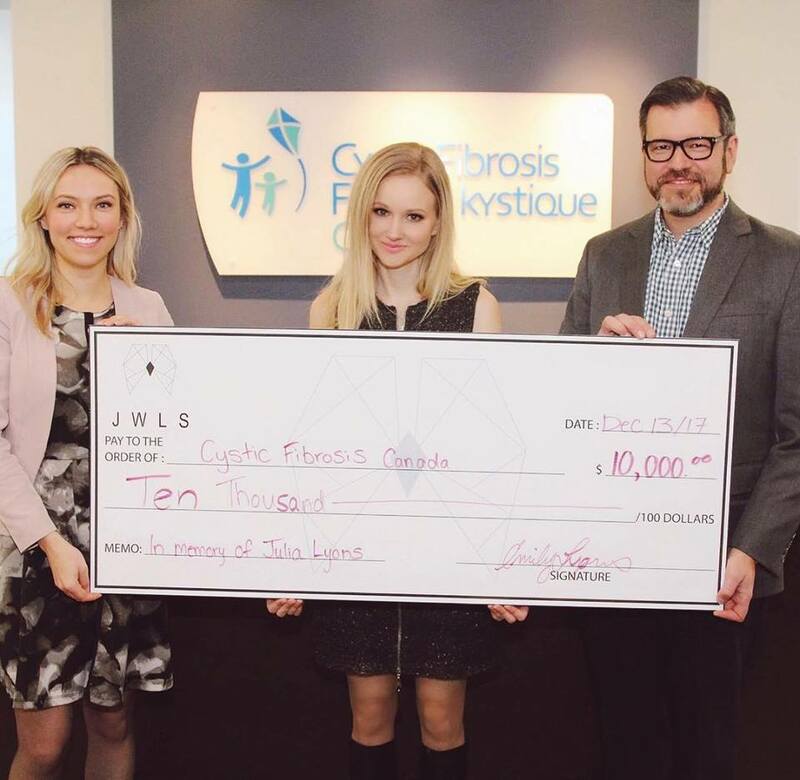 And now, more recently – with the cheery spirit of the holidays approaching us all – Emily Lyons donated a cheque for $10,000 to Cystic Fibrosis Canada. Cystic Fibrosis Canada is a not-for-profit organization which has, for years, marshaled together information and resources for the purpose of discovering a cure for this deadly genetic disease. According to Cystic Fibrosis Canada, a donation worth $300 is enough for a graduate student to complete four days of lab work needed to help resist lung infection in cystic fibrosis patients. And a $1,000 donation grants an entire year of in-depth, specialized care to 16 adults with cystic fibrosis. "Cystic Fibrosis Canada, and other amazing organizations, has made great strides towards eliminating all this pain and suffering caused by cystic fibrosis," says Emily – who participated in this year's Walk to Make Cystic Fibrosis History and countless other events. "A cure for cystic fibrosis is a cherished dream for many children and adults alike – and it is a dream that can become a reality with enough resources, intelligent collaboration, and a never-ending drive to make it happen," she says. With her donation to Cystic Fibrosis Canada – and her other relentless efforts to continue combating the scourge of cystic fibrosis – Emily is helping to "make it happen," contributing meaningfully to the vision of a world without cystic fibrosis.